Please note that knives can only be sold to persons over the age of 18. A declaration of age must be declared upon checkout when purchasing knives. Enlarge Photograph Marttiini skinning/filleting knives with beech handle and tan leather scabbard. These knives have a flexible stainless blade that holds an edge for ages. The first one I bought over 15 years ago is still perfect and still retains its razor edge with just occasional sharpening. Enlarge Photograph This small knife is in titanium colour. Small enough to lose in your pocket but big enough for most jobs. If you need to skin a buffalo then maybe something bigger would suit! Enlarge Photograph Stainless steel lock knife with 3.25 inch blade. Really solid leather knife pouches, made to last. 4" pouch only available in black leather. 5" pouch only available in brown leather. Enlarge Photograph 2.5 inch blade, single handed opener with wood grips. Enlarge Photograph 3.25 inch blade, part serrated black anodised aluminium. 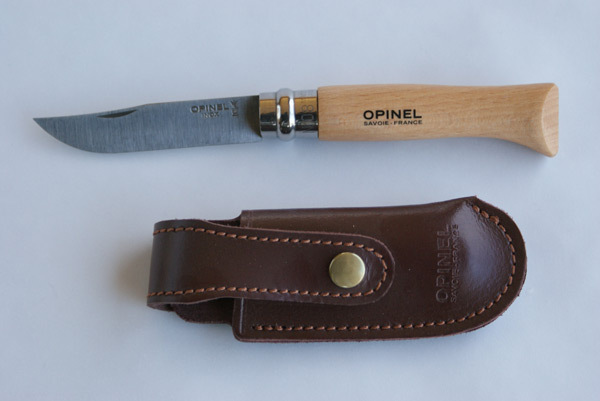 Enlarge Photograph Opinel No.08VRN locking, folding knife with a 3.25 inch blade, complete with leather belt pouch. 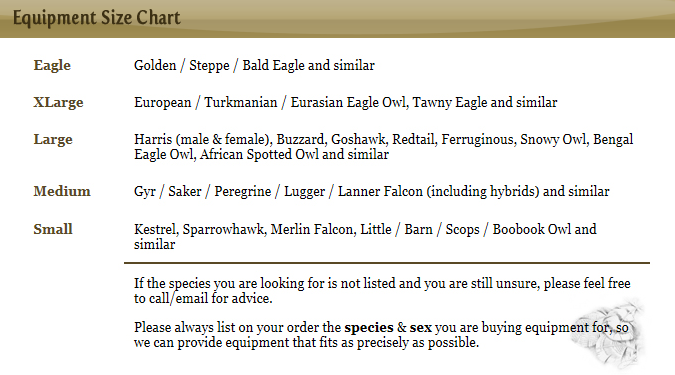 A real old favourite amongst falconers. Incredible value. Belt pouch not exactly as shown due to 'progress' ! Item is boxed. Enlarge Photograph Alloy body with rubber grips and a 3.25inch stainless blade which is 1/2 plain and 1/2 serrated! 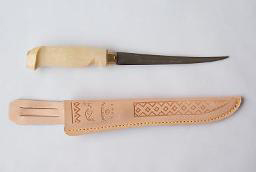 Enlarge Photograph As described above for the Lynx knife but also featuring an engraved blade and through tang terminating in a polished brass hilt.........beautiful. A pretty knife featuring a 3.5" stainless blade with single-hand opening and polished pakkawood handle. 4.5" closed length. Brilliant value at this price. 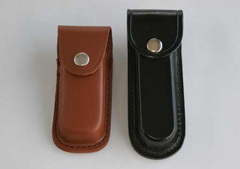 A hardwearing but cheap knife pouch, available in black, black or ........yes, you're right, black! 4" and 5" sizes to cope with most sizes of folding knife. NEW - All steel construction incorporating a 3" matt finish, half-serrated, stainless steel blade. A good solid knife for general purpose use at a bargain price. This weighty and compact knife features a 3.5" stainless blade with a staghorn and ebony handle and a lanyard hole....... or is it just woodworm! Complete with a really nice black leather sheath.